Based in our new Galway office we are looking for outstanding candidates for a number of roles across the business. All roles are listed below with job specs. No agencies, please. Direct applicants only. We are looking to hire talented Videographers who can demonstrate their passion for video and creative thinking. The chosen candidates will have plenty of ideas, energy and enthusiasm and be able to work hard and fast on a variety of projects. The online digital video market is exciting, bold and fast-paced – an exciting role for a creative thinker. You’ll be producing videos for our wide range of clients, social platforms and website. The video projects will be highly varied, from event video production to social media and news videos as well as live ­produced shows to be aired on social platforms. You’ll be expected to have a good knowledge of trends in the video and social media industries and apply them to your work. This role involves working with all teams at Maximum Media, including content creation, video production, editorial and client services. The growing social team is responsible for audience growth, creating dynamic written, graphics and live social content, planning and development and is involved with a range of marketing activities. This role is an excellent opportunity for an individual who is passionate about embarking on a career in project management and production within an exciting, innovative brand. The role will involve working with the fast-growing client services team and alongside all other teams at Maximum Media, from editorial & video to planning. Primarily supporting the client services team, taking on tasks and projects as necessary to ensure the successful delivery of paid content. Shoot attendance: Attending filming/shoots and offering support where needed. Assuming the role of a runner, helping on logistics, liaising with talent on the day. 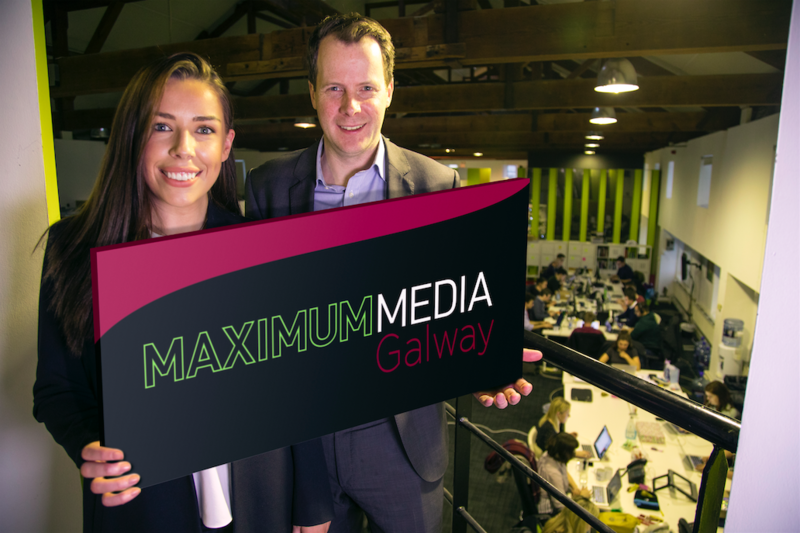 You will be based in Maximum Media’s Galway HQ, working alongside our ever-expanding team of multimedia journalists, and reporting to the key department heads across JOE and Her. Experience in digital media is hugely important, but drive, ambition, flair, ideas and innovation are what will set the winning candidate apart. You are a highly motivated sales person with 2-3 years experience in media sales and have begun carving out a track record for reaching and exceeding revenue goals. You have experience in devising, pitching and monitoring innovative digital partnerships with advertisers, and are comfortable working in a dynamic, high growth, cutting-edge digital publisher. You are positive, intelligent, driven, possess the ability to follow your own initiative whilst also being a phenomenal team player. Experience of working cohesively within your team and alongside other teams within the business, i.e. production, editorial, social etc. Reporting to the Financial Accountant and Financial Controller (who are based in Dublin), your role as Accounts Assistant in the Galway office will focus on helping to manage everything from accounts payable/receivable to assisting with payroll and assisting with some HR duties. You should be a quick learner with strong IT skills, organised and comfortable to work from your own initiative. Ability to prioritise workload to meet deadlines. Strong logical and clear thinking individual. Ability to deal with internal staff and external contacts in a courteous and professional manner.